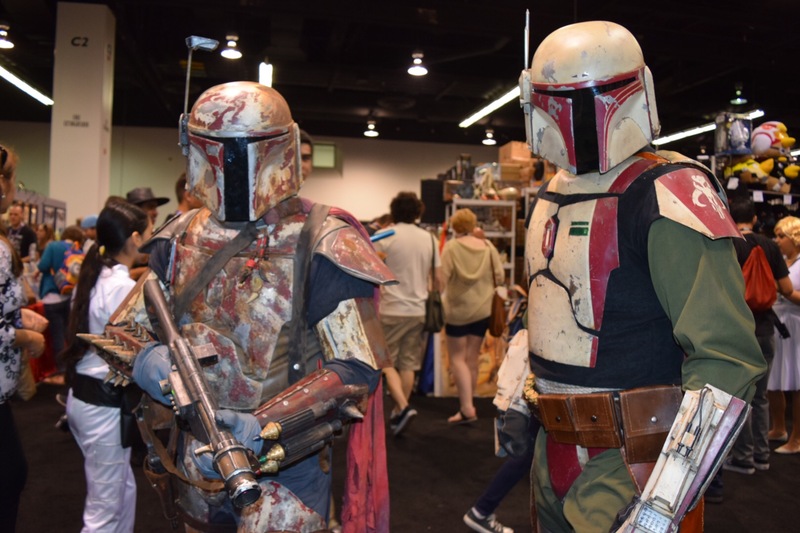 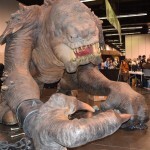 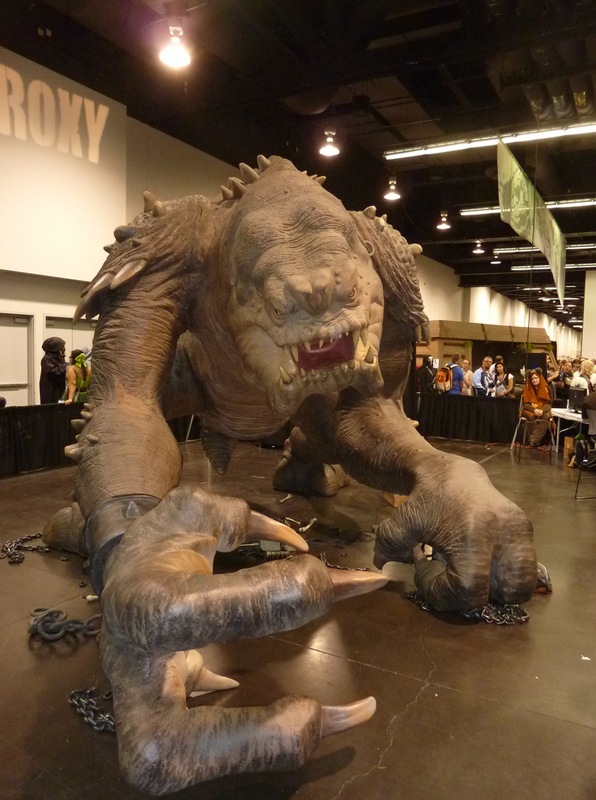 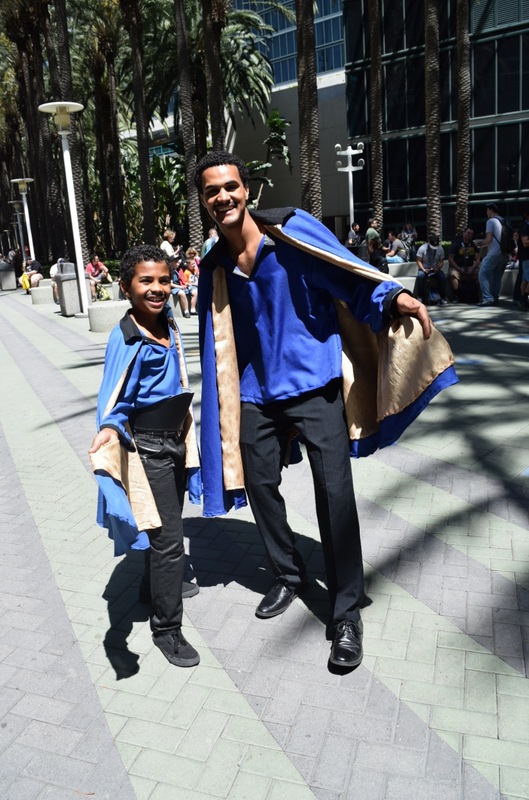 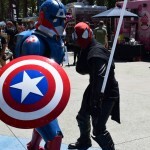 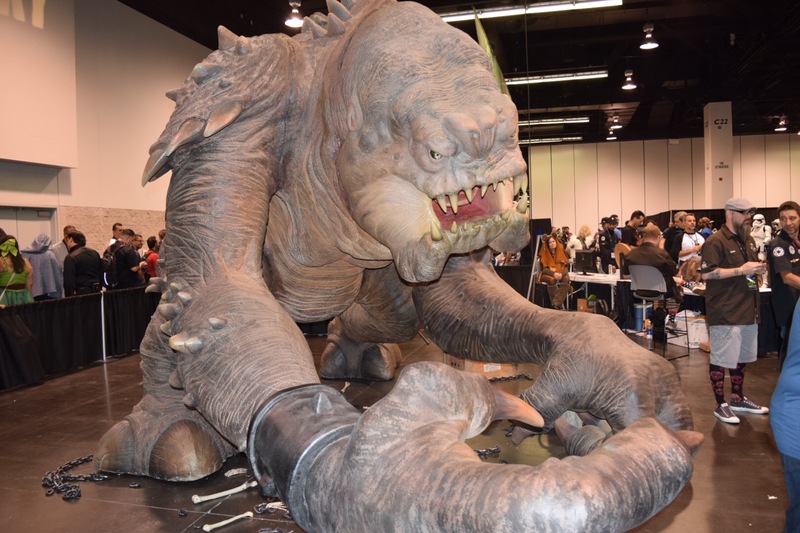 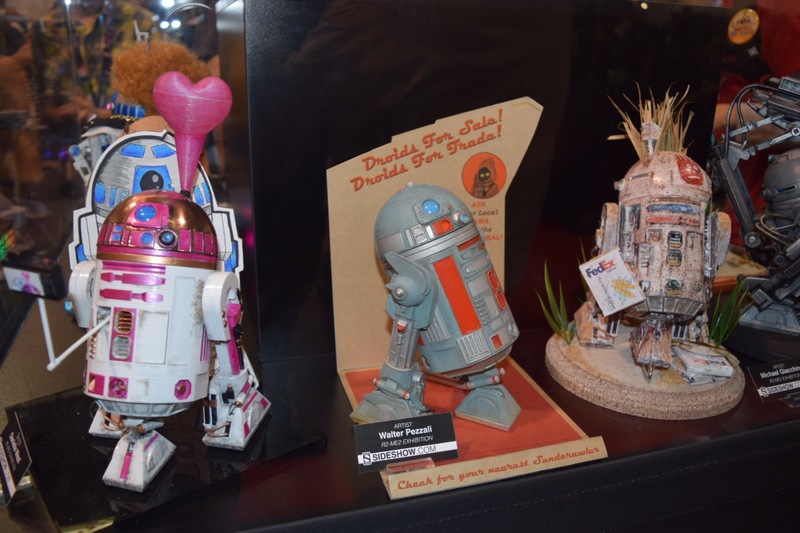 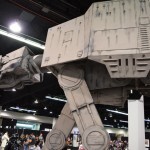 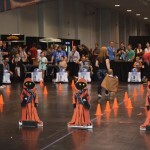 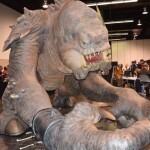 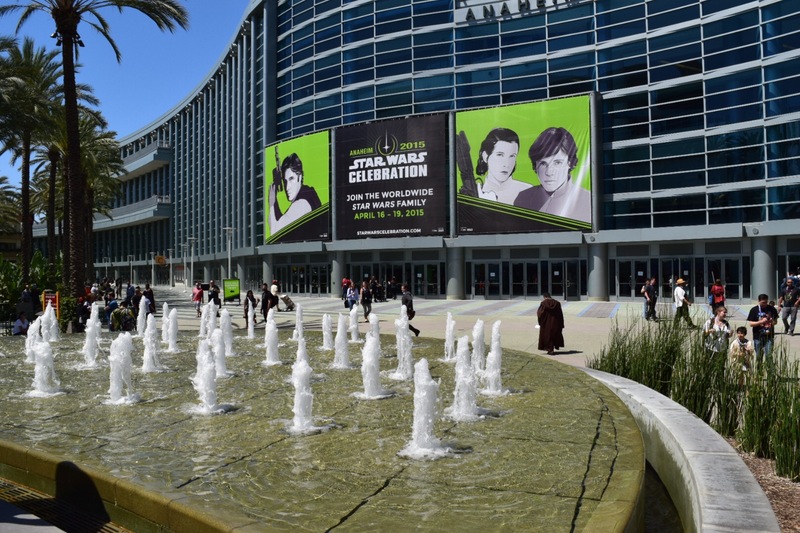 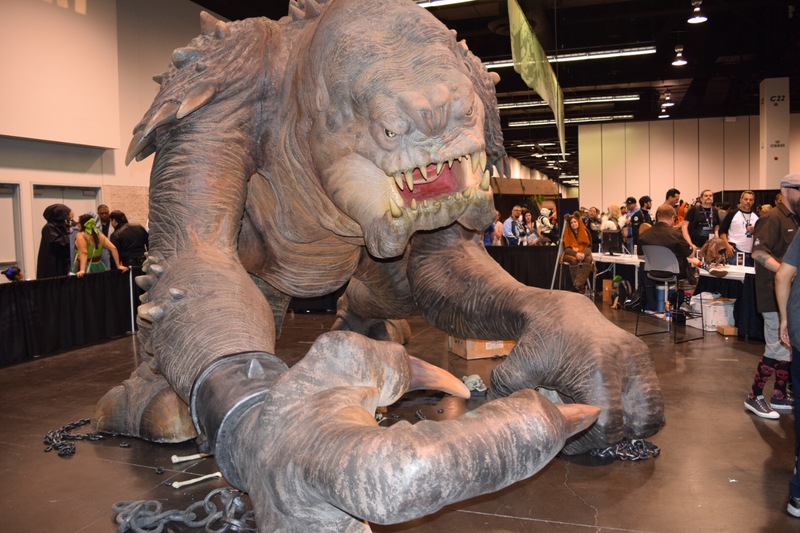 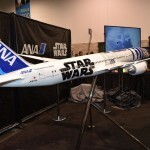 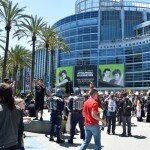 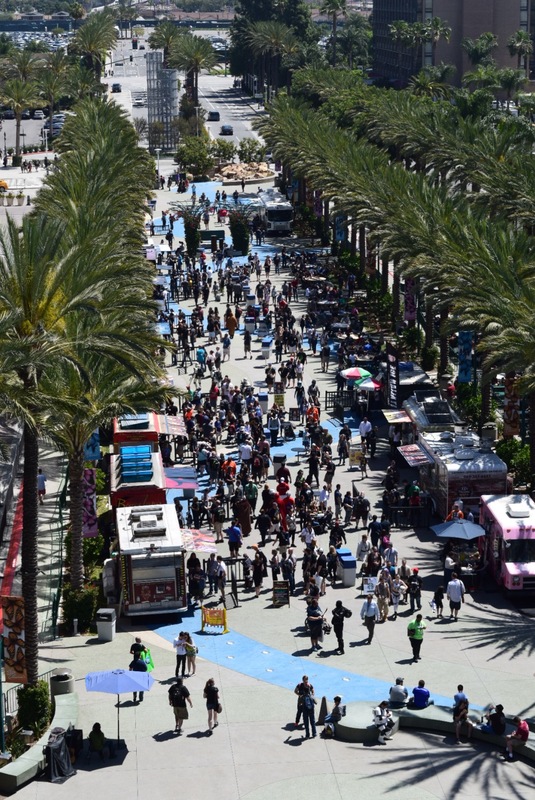 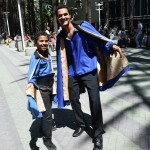 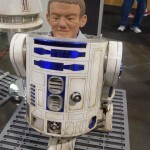 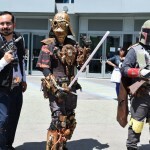 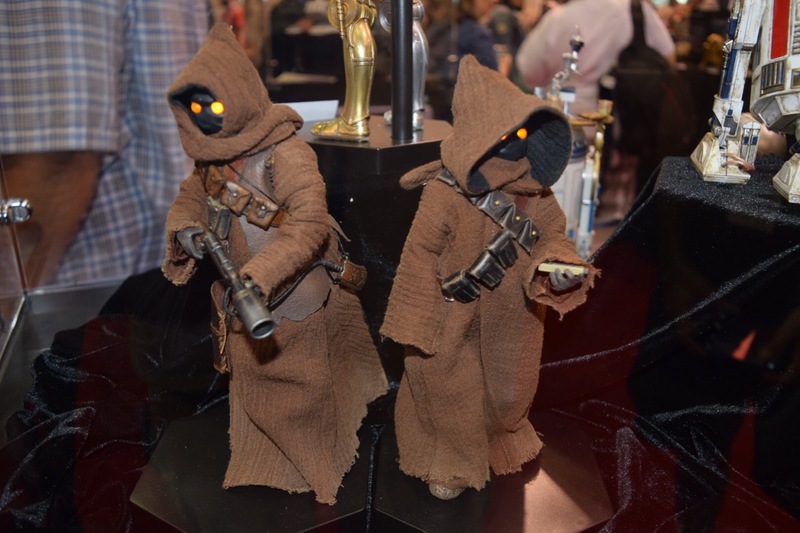 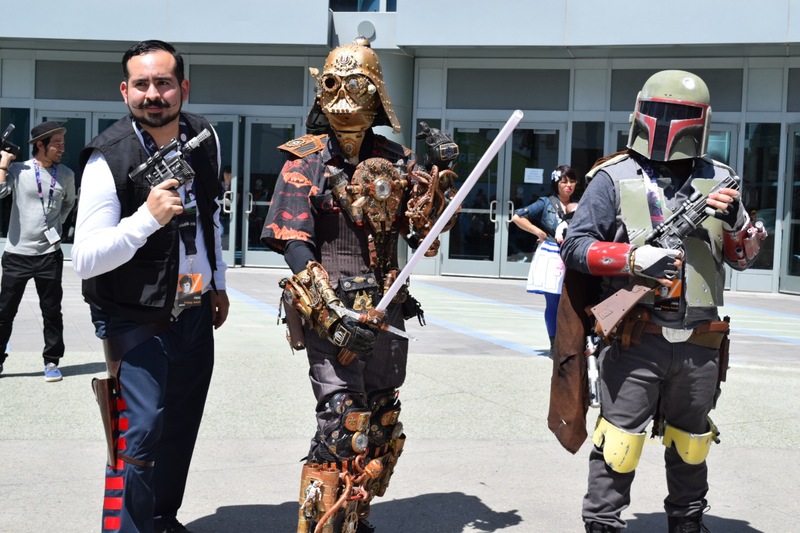 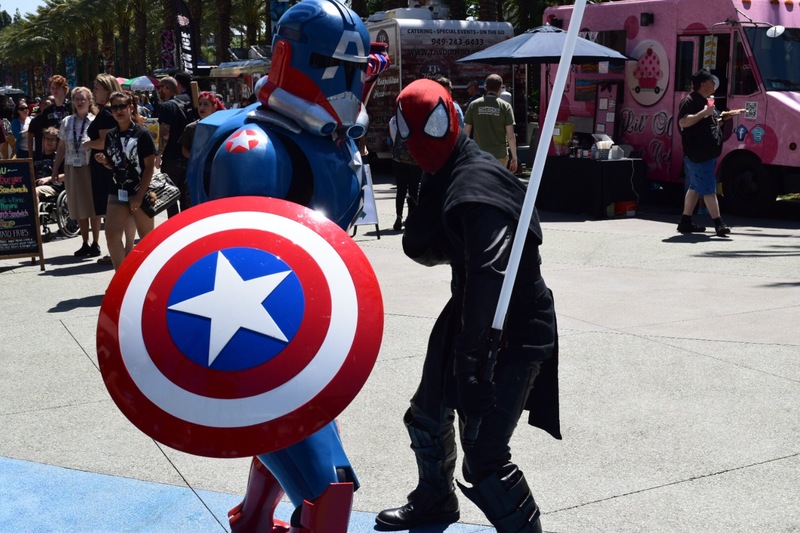 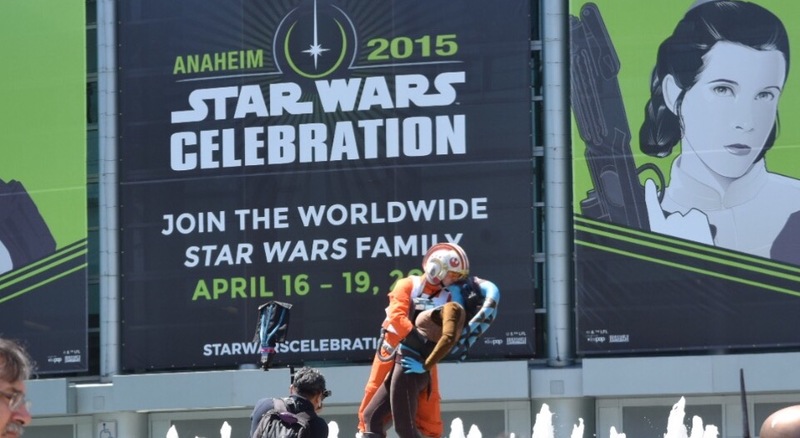 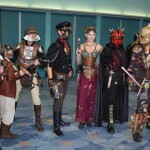 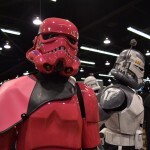 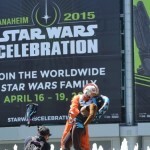 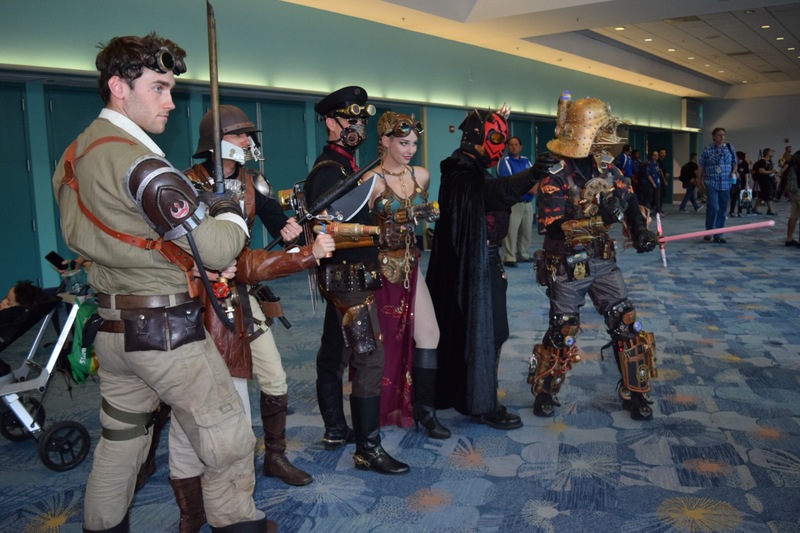 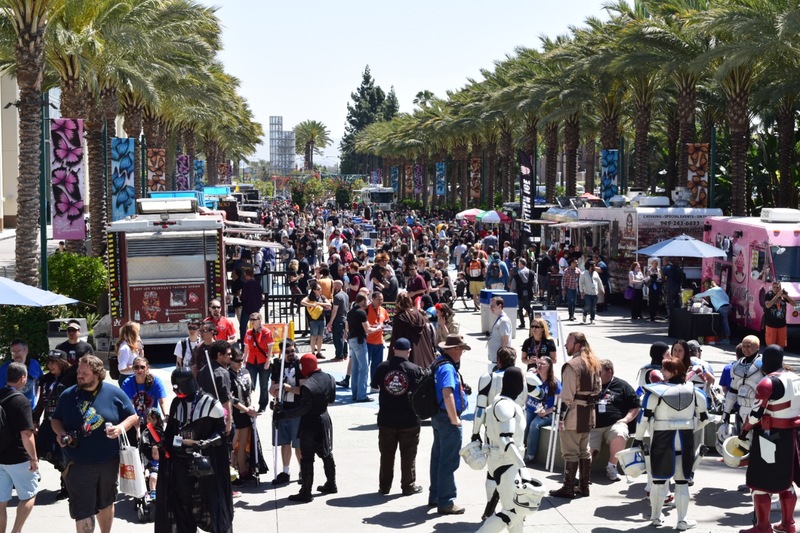 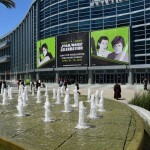 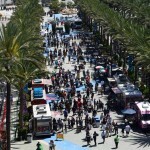 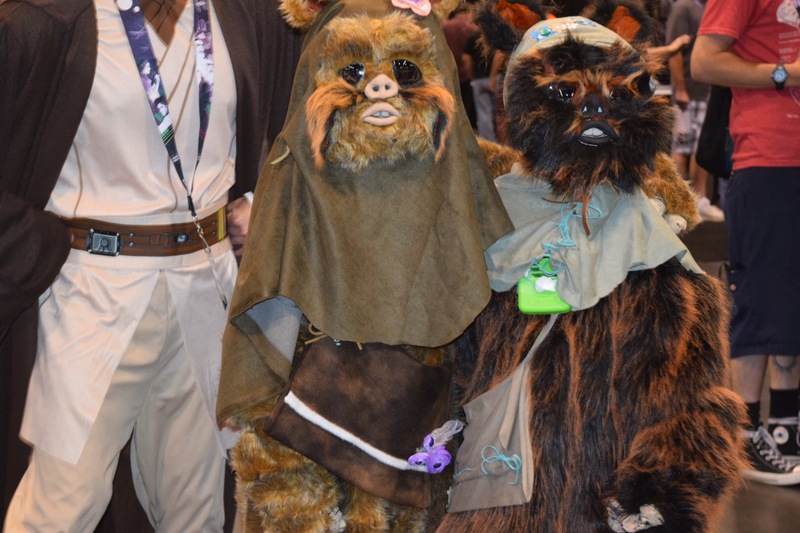 This weekend, the Anaheim Convention Center become Tantooine, Endor, and more as Star Wars Celebration landed in Southern California. 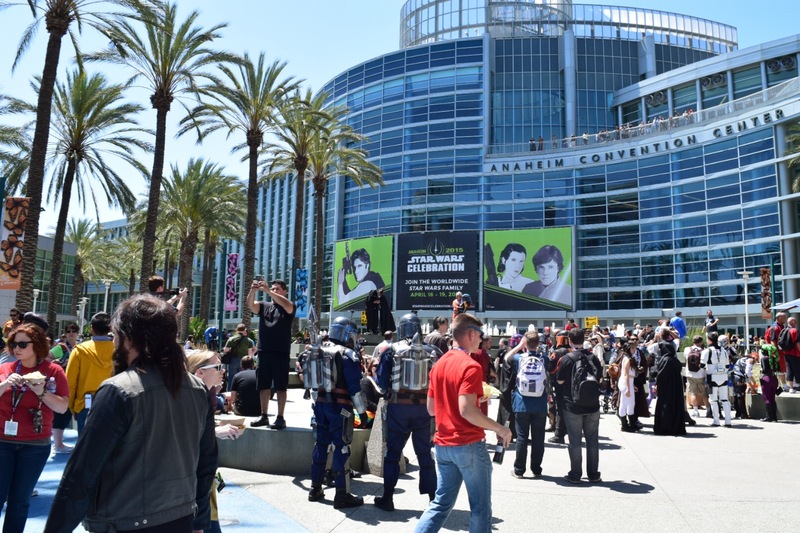 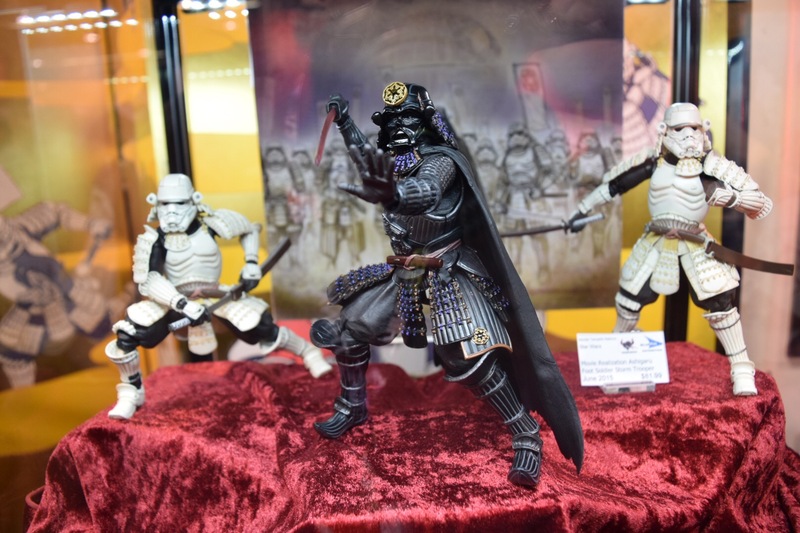 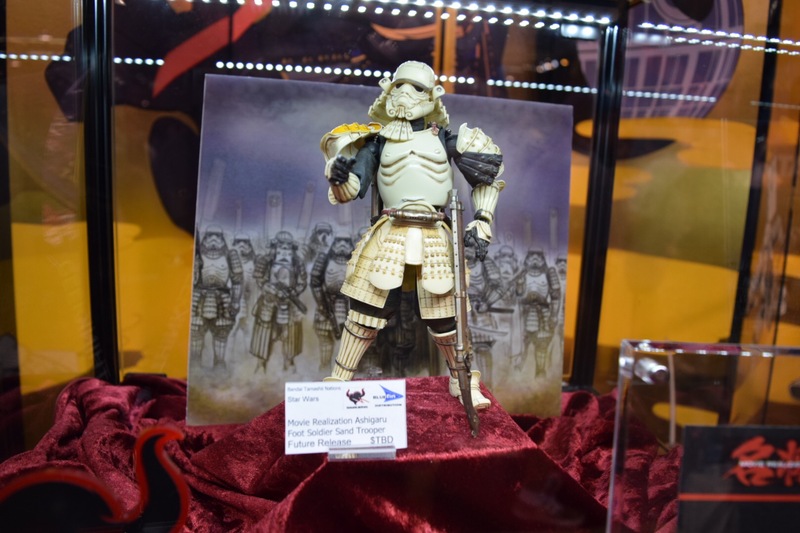 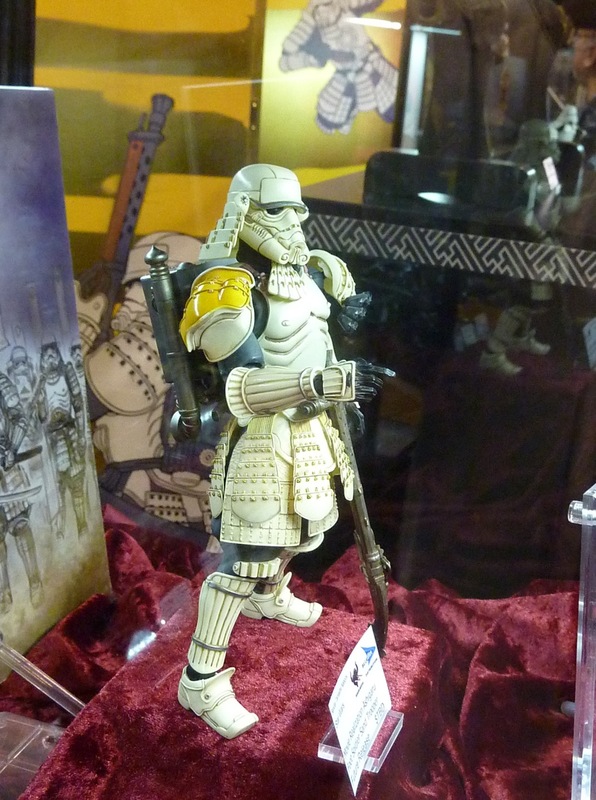 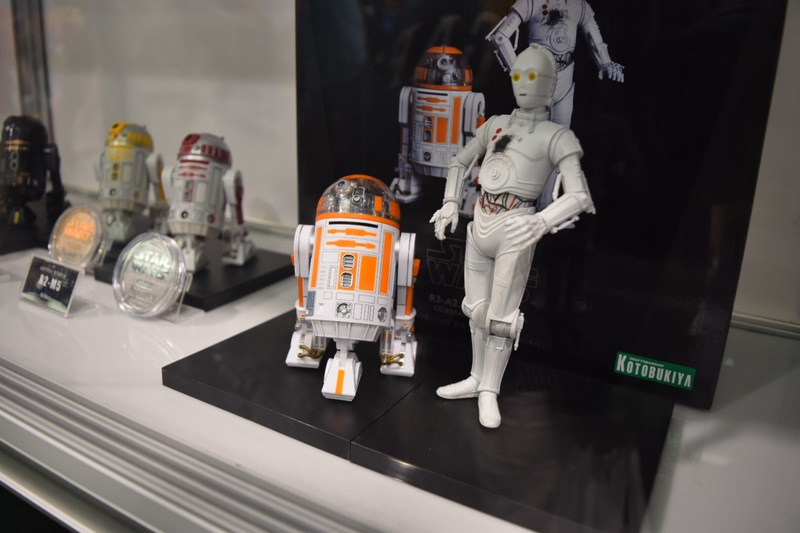 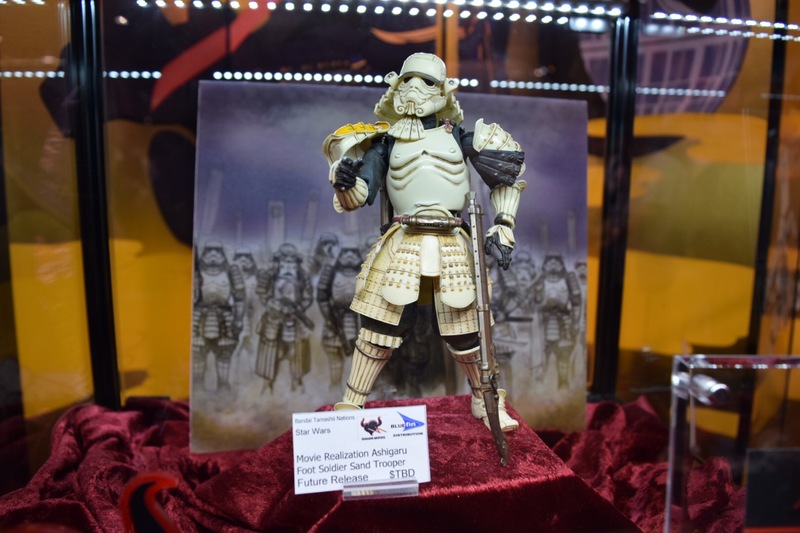 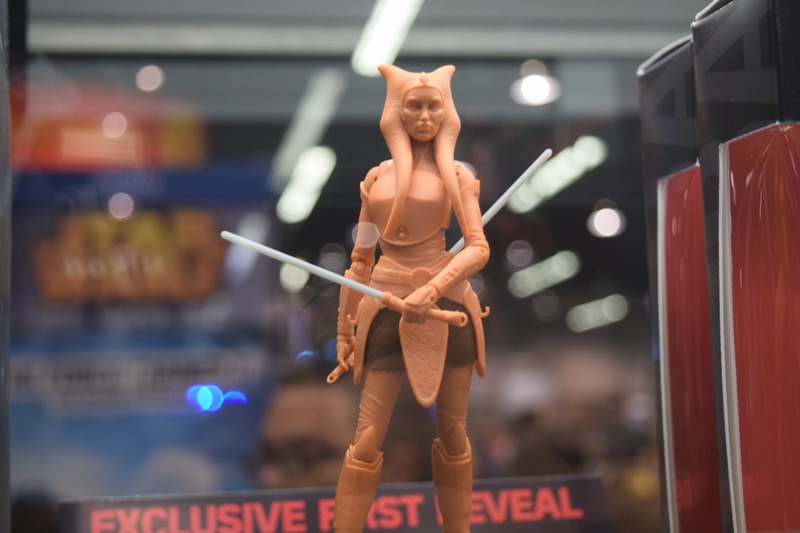 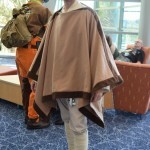 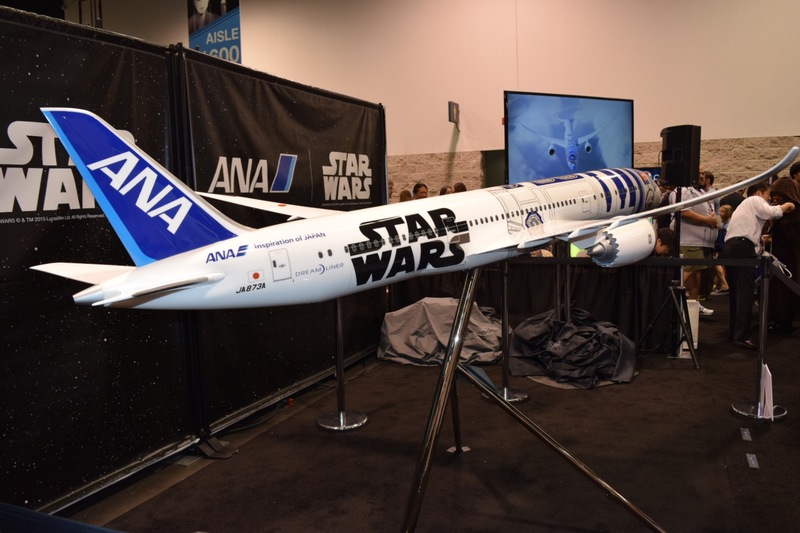 The convention, held annually around the world, was a sensory overload for fans with cosplay, vendors, announcements, film stars and, of course, the reveal of the big one, Episode VII: The Force Awakens. 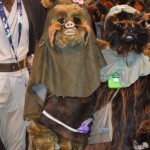 The trailer was the talk of the internet for days, as director J.J. Abrams revealed the latest trailer, which showed the world a more in depth look and included the first look at Harrison Ford as Han Solo and everyone’s favorite wookie, Chewbacca. 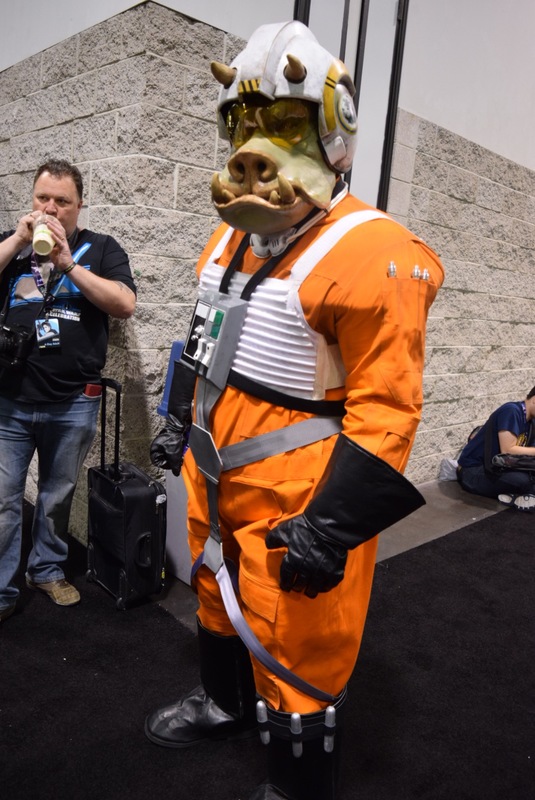 That last part of the trailer had to leave every Star Wars fan wanting more. 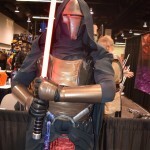 Set decades after Return of the Jedi, the film will usher in a new generation of Jedi, and most likely, of the evil Sith as well. 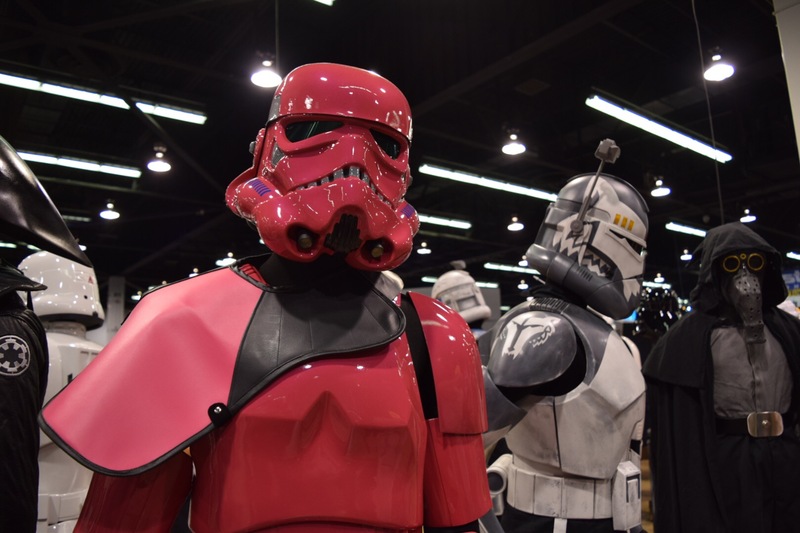 Set to open on Christmas Day, The Force Awakens is poised to own the box office. 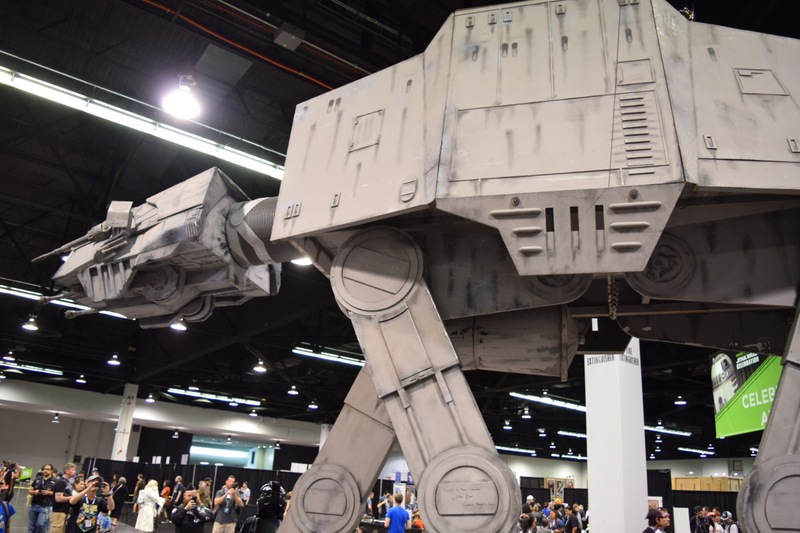 Another massive draw was the reveal of Star Wars Battlefront, which I was amazed by. 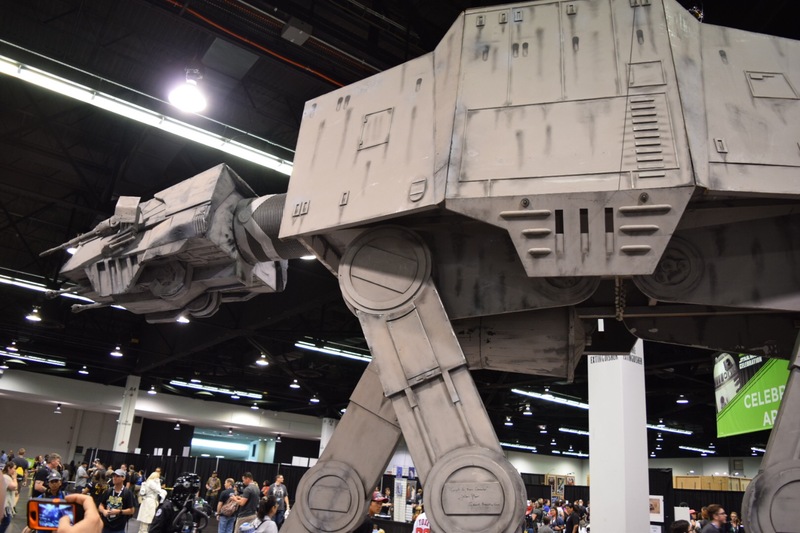 From developers DICE, the reveal trailer showed graphics that looked so real, it was like playing a film. 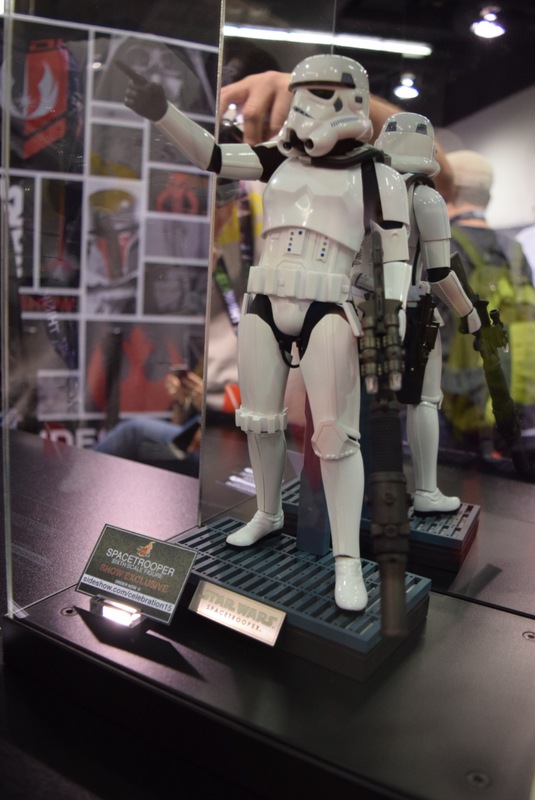 Set to include aspects from the original films as well as bridging the gap in between Return of the Jedi and The Force Awakens, Battlefront looks to be the video game hit of the holiday season. 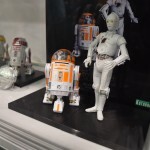 I know, for me, it will be. 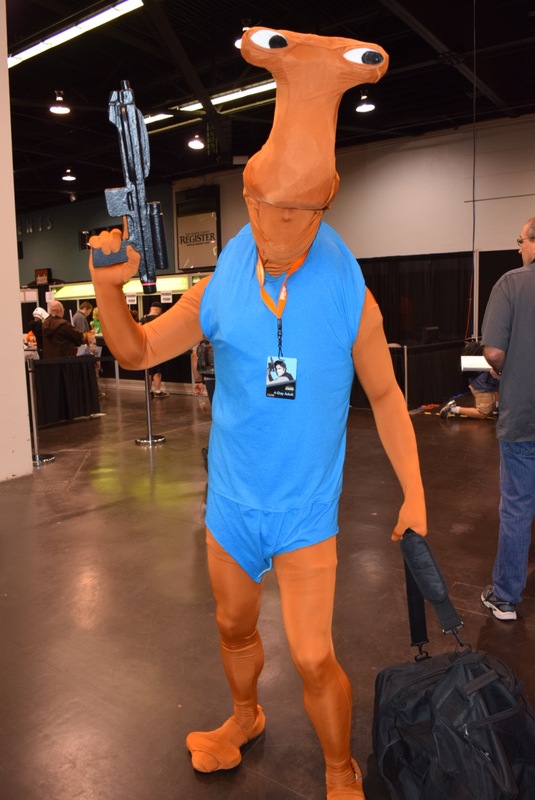 I already reserved my copy. 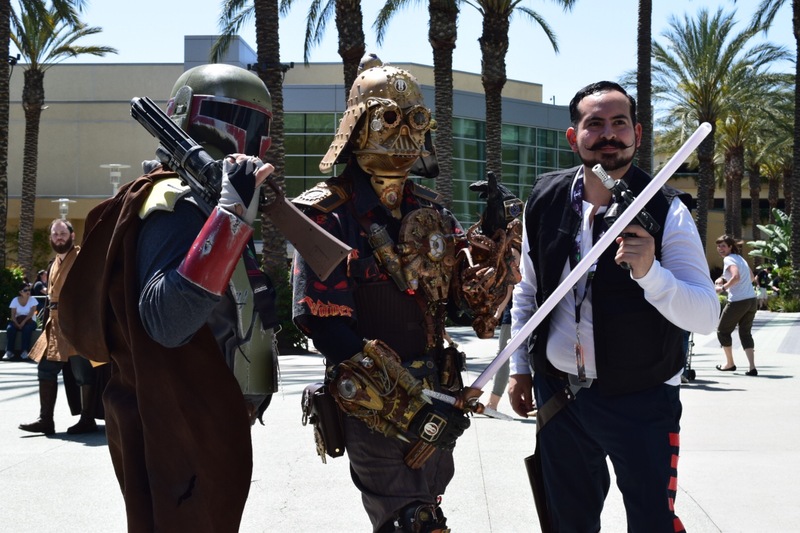 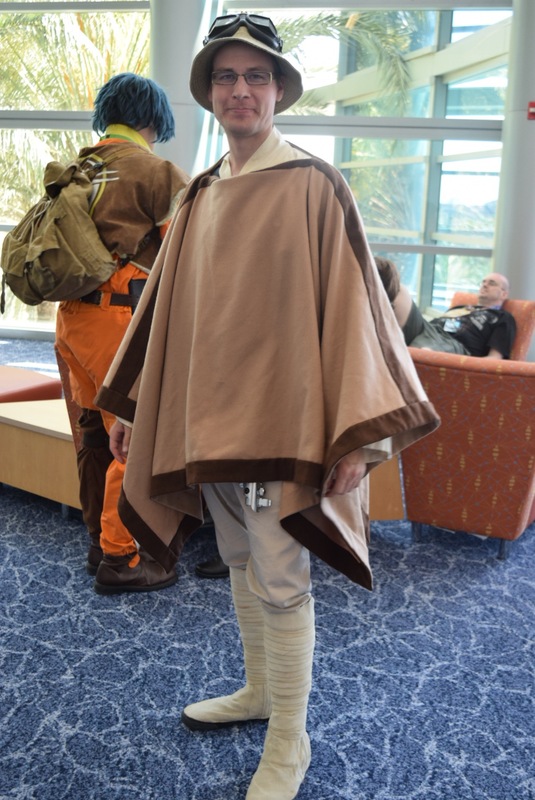 One of the largest parts of any convention are the dedicated cosplayers, who for this con came from around the globe for their love of Star Wars. 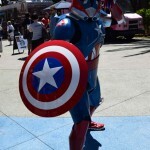 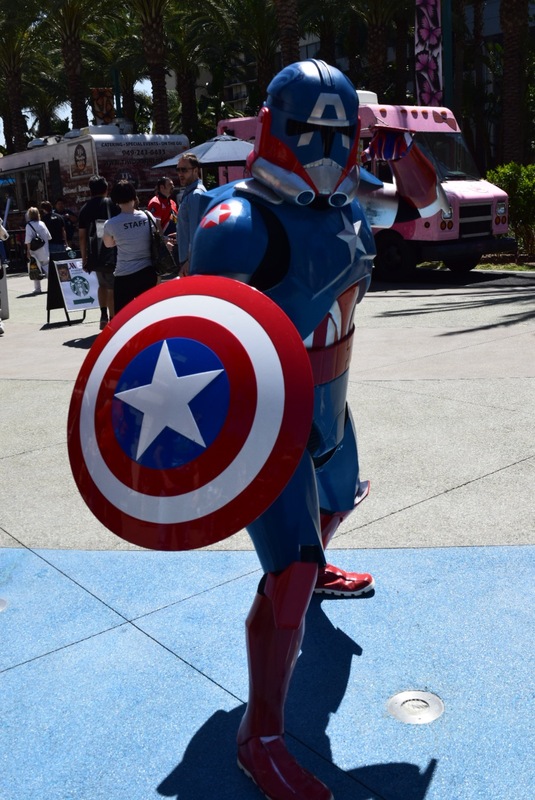 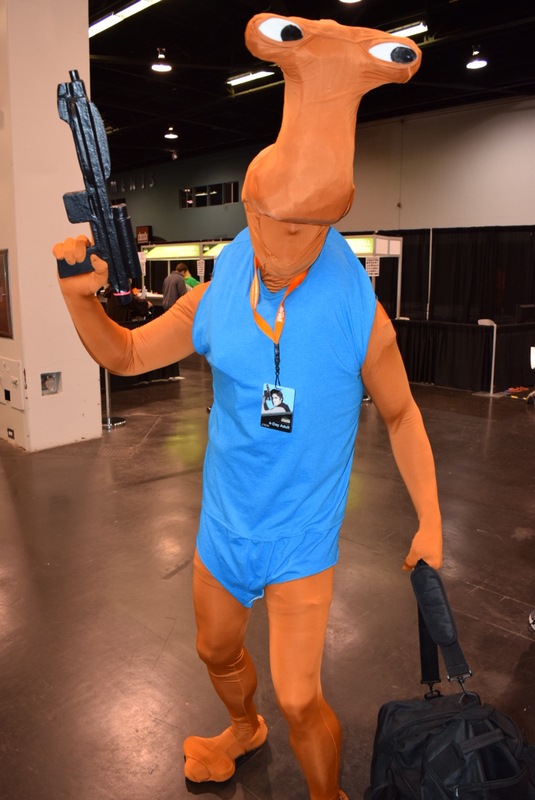 We saw so many cool cosplayers, it was hard to keep up with them all. 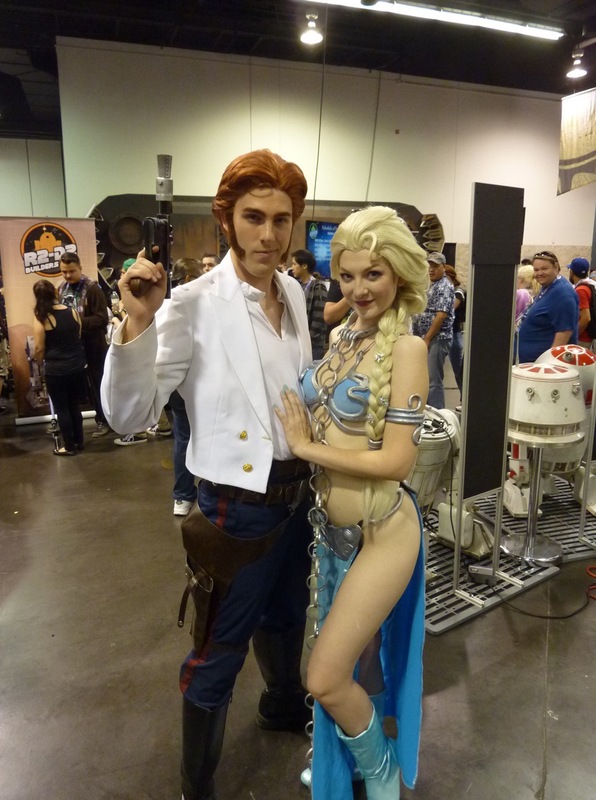 Some of my favorites included the Disney Frozen themed “Hans Solo” and “Slave Elsa”, a Rocketeer inspired Boba Fett, and a beautiful Little Mermaid Sith. 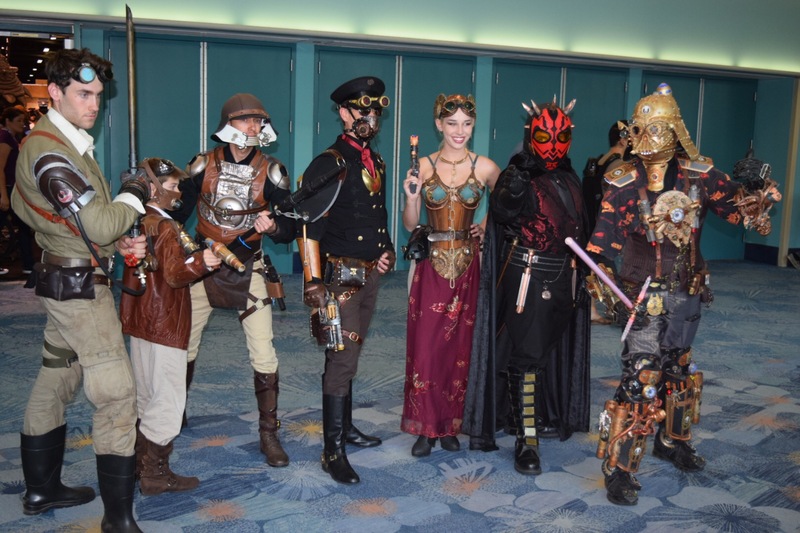 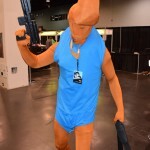 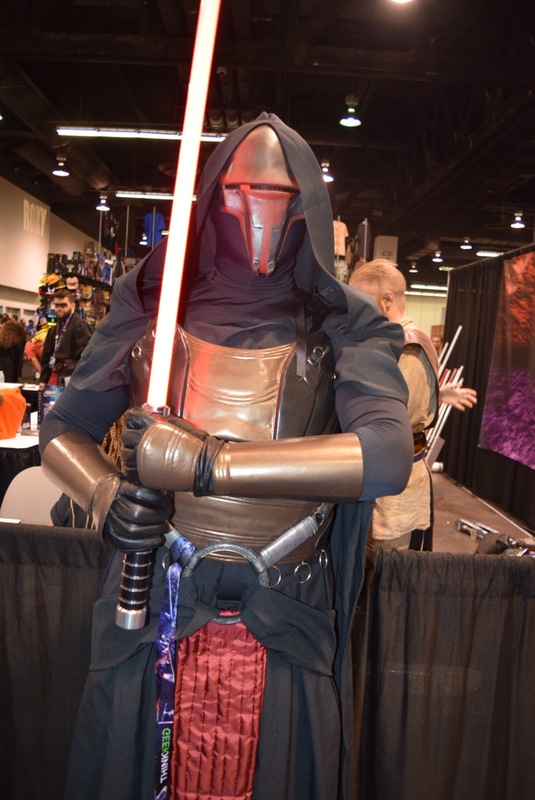 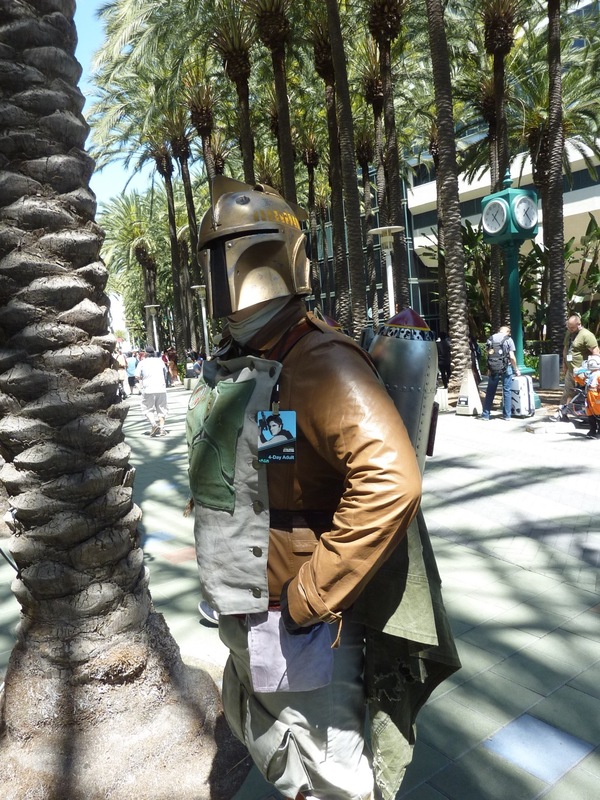 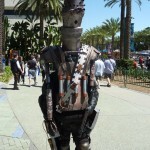 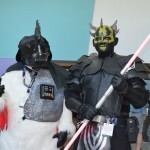 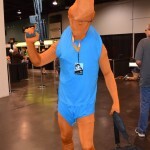 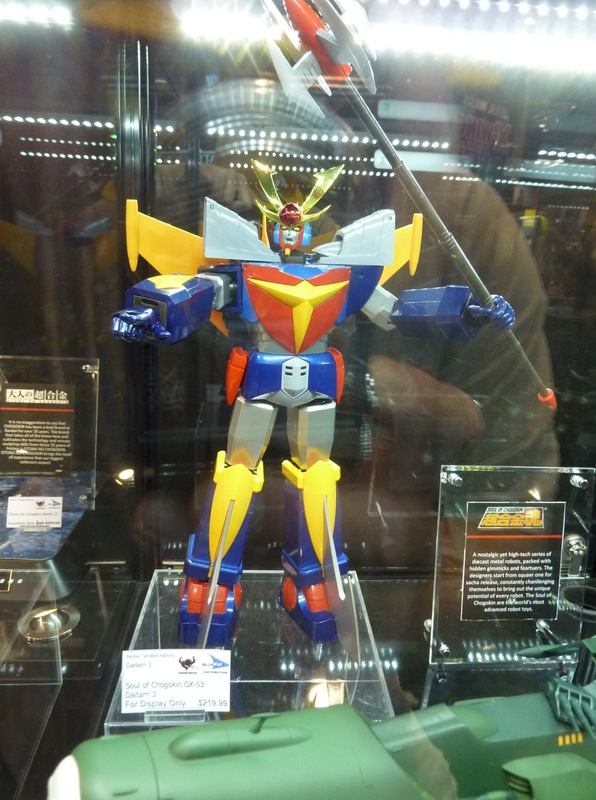 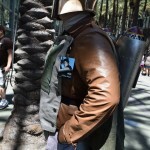 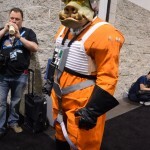 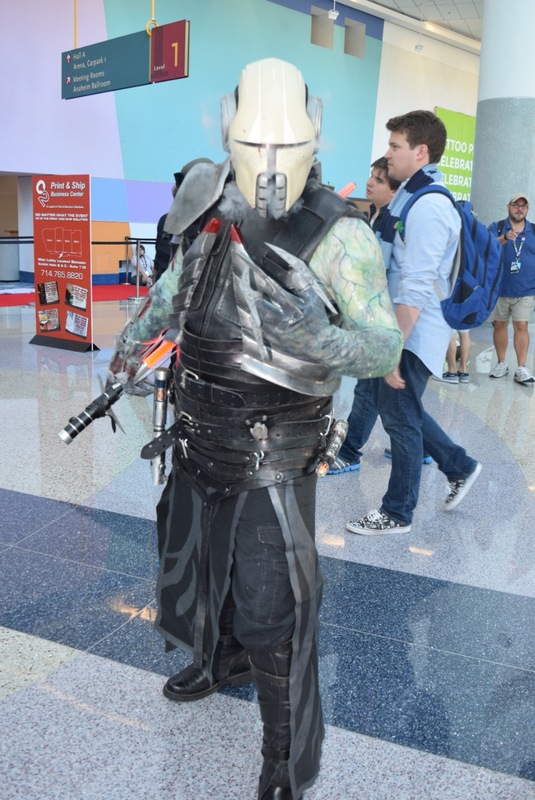 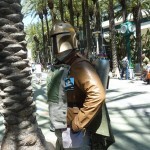 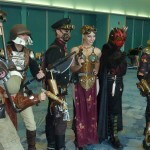 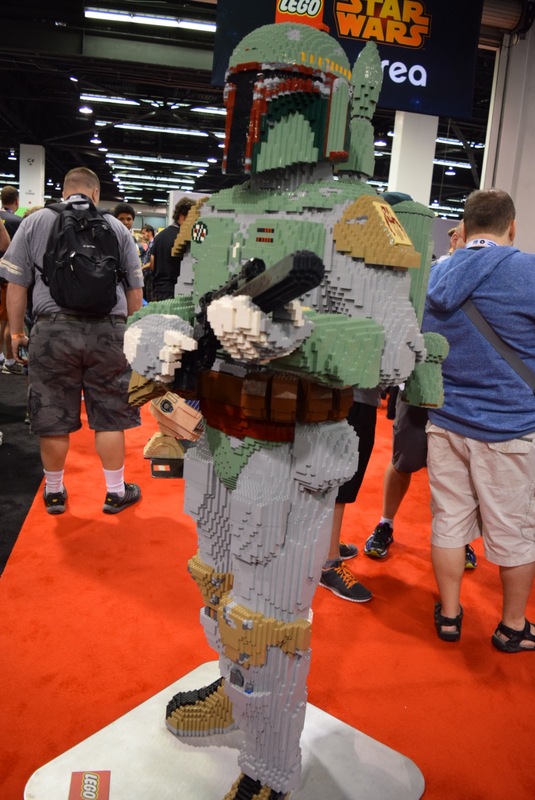 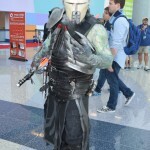 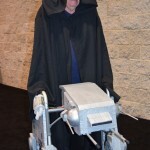 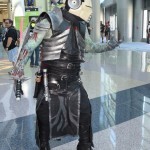 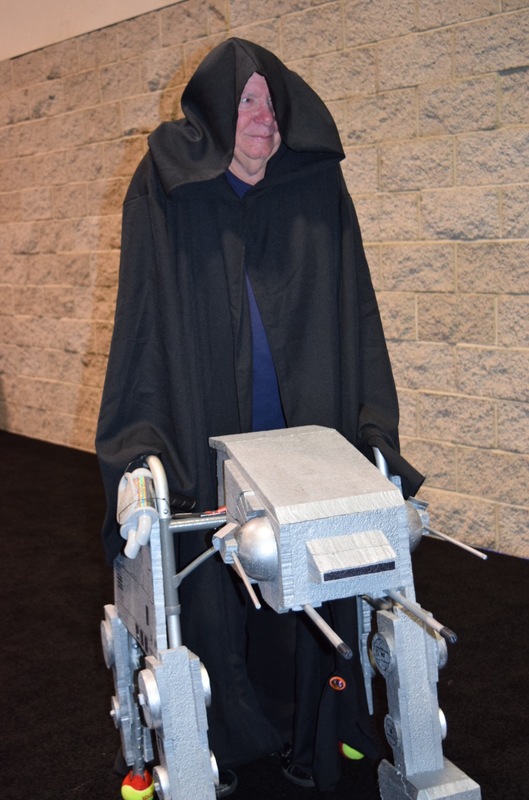 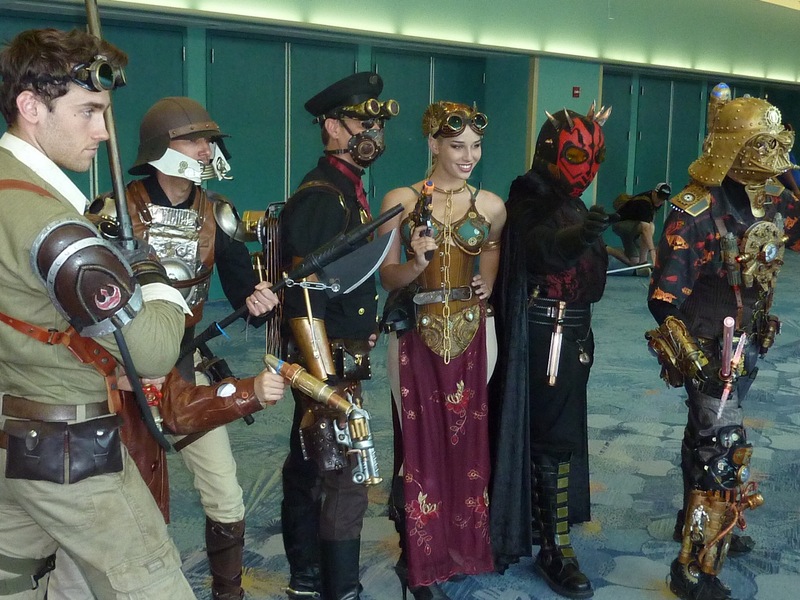 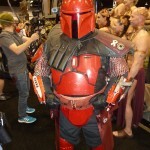 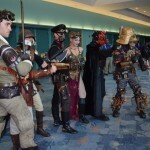 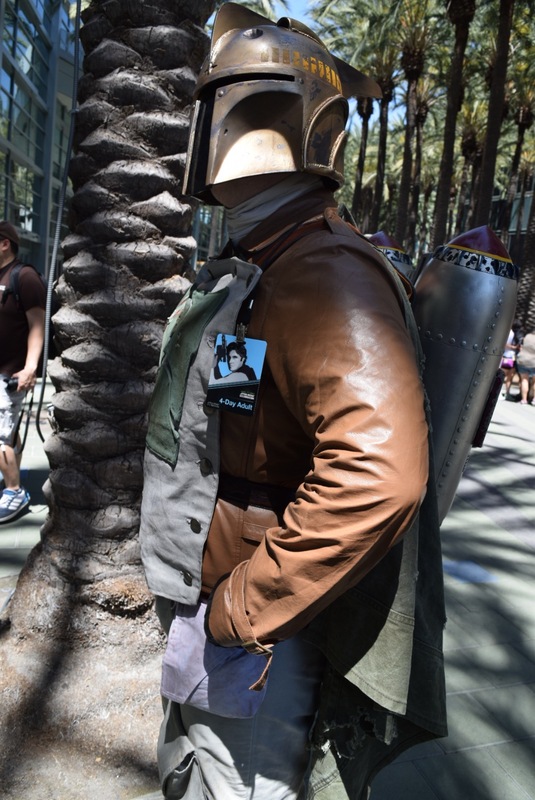 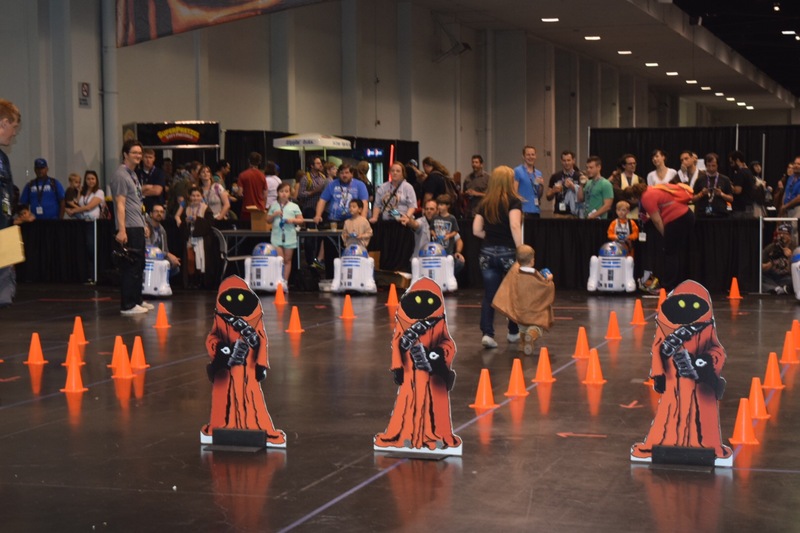 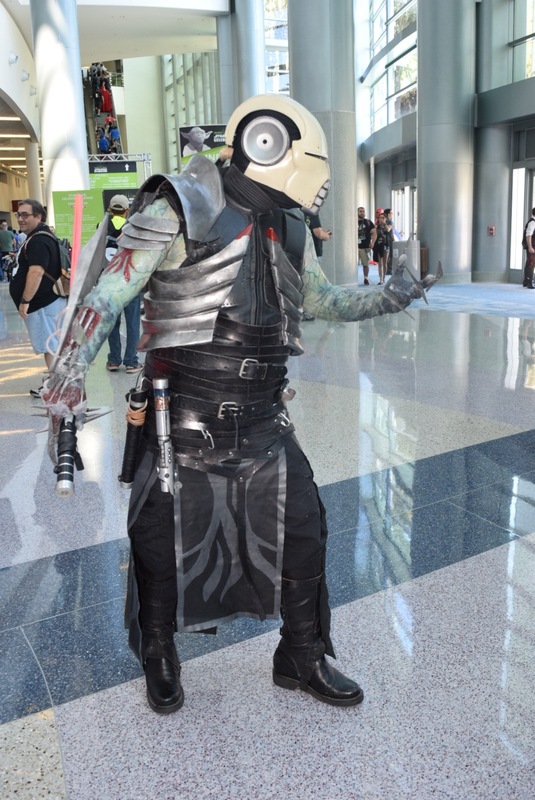 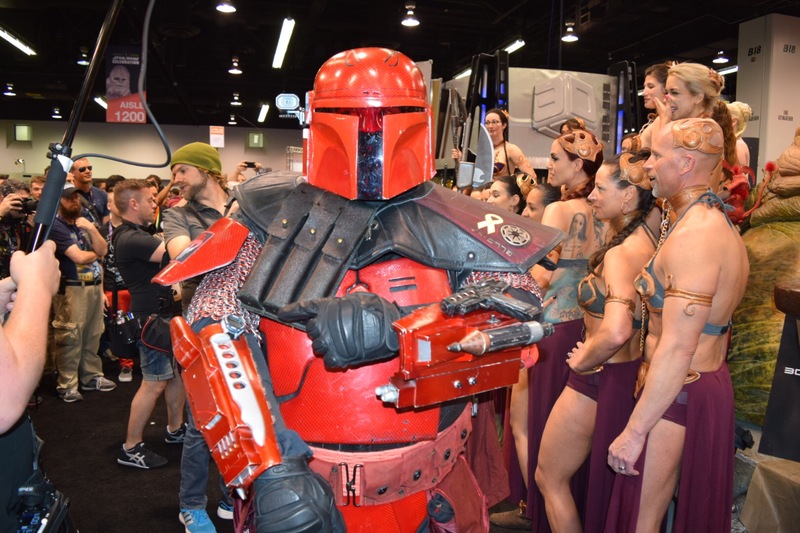 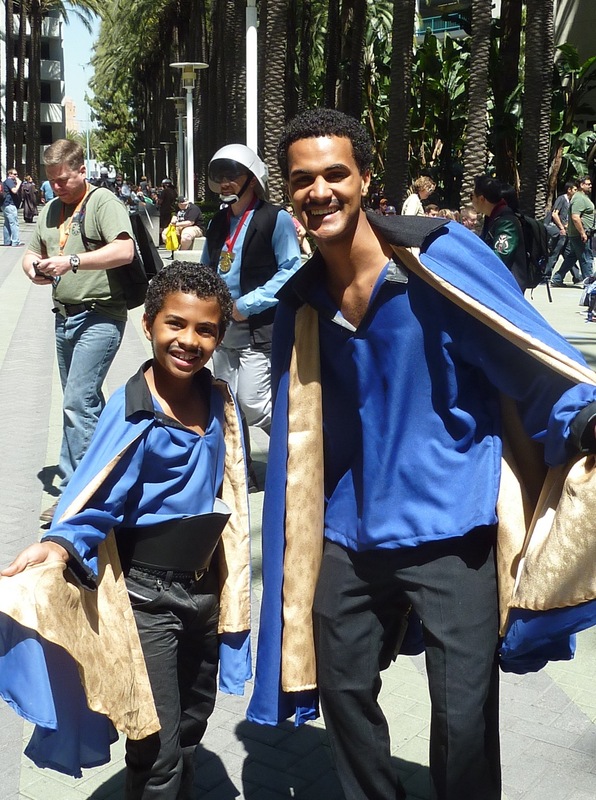 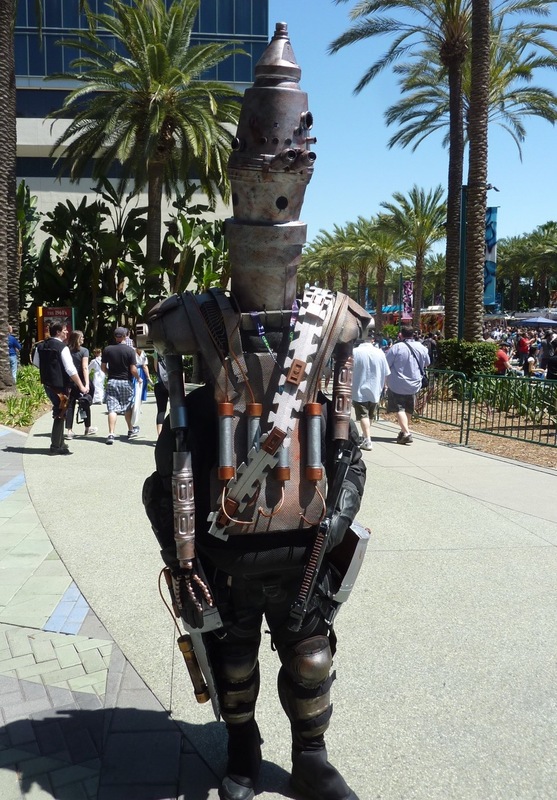 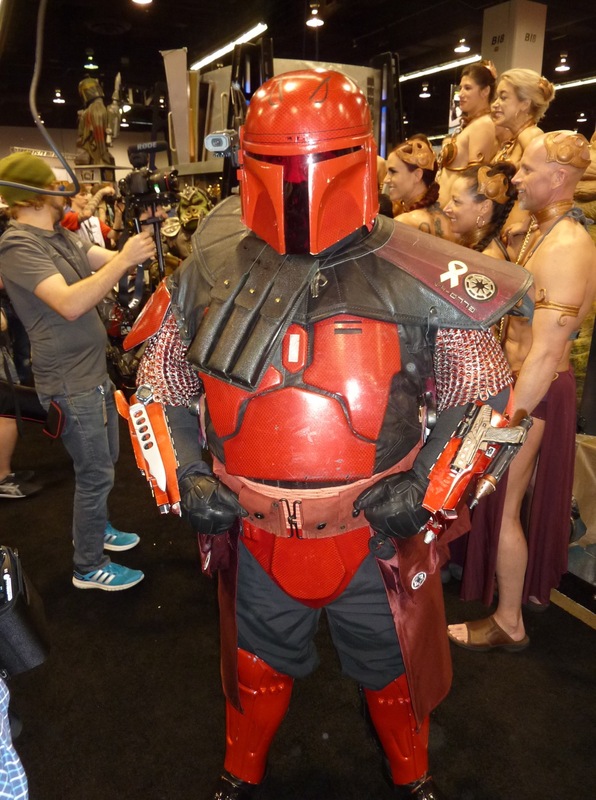 Cosplayers put countless hours into their craft, and at conventions like Star Wars Celebration, it clearly shows. 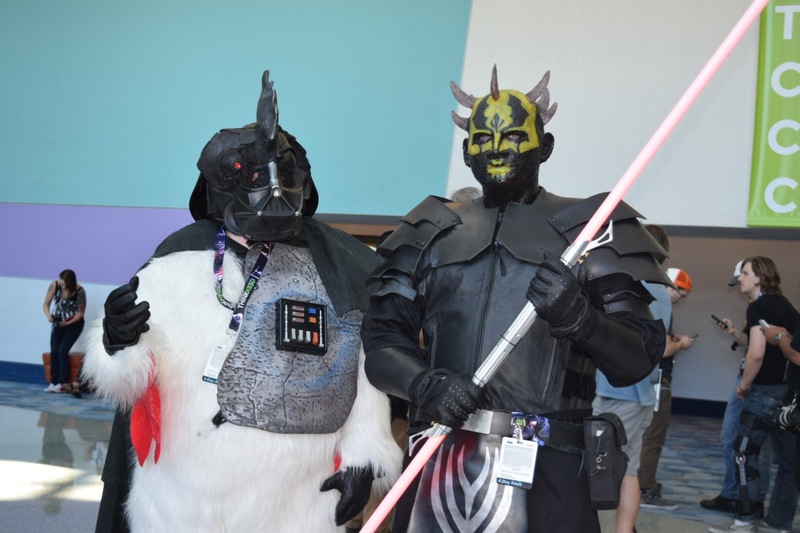 Stars from the films were present, like Luke Skywalker himself, Mark Hamill, Princess Leia-Carrie Fisher, Darth Maul-Ray Park and more all had their own panels, which worked as a questions and answer segment to the delight of fans. 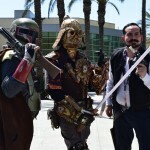 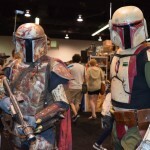 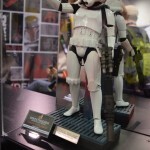 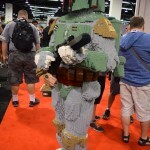 Stars also included the original Boba Fett, Jeremy Bulloch, and the young Boba Fett and voice of the bounty hunter in the animated series, Daniel Logan. 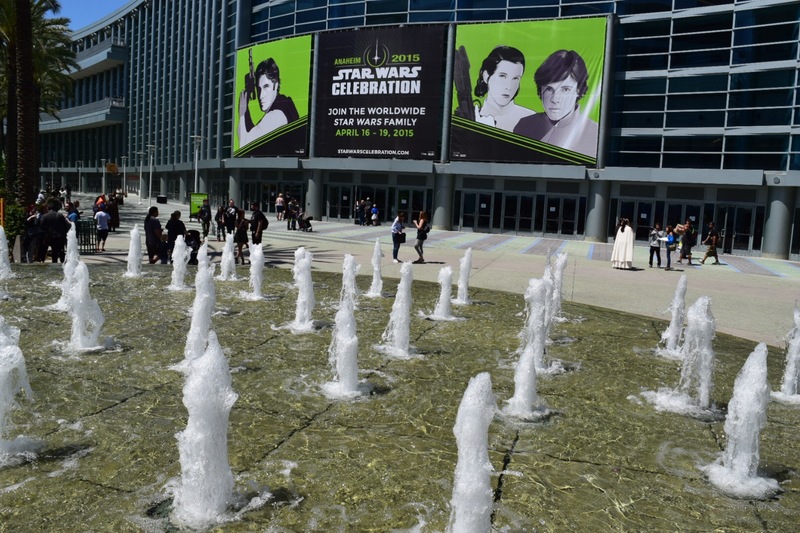 Next year, Star Wars Celebration goes across the pond to London, with tickets going on sale April 20th at noon. 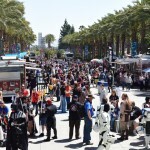 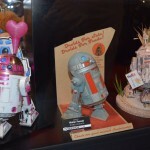 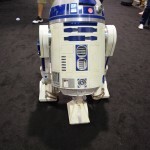 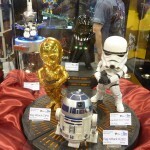 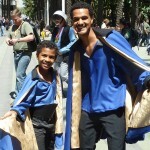 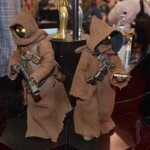 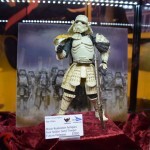 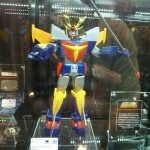 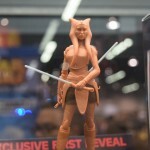 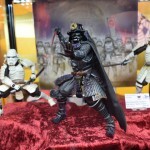 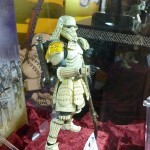 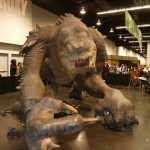 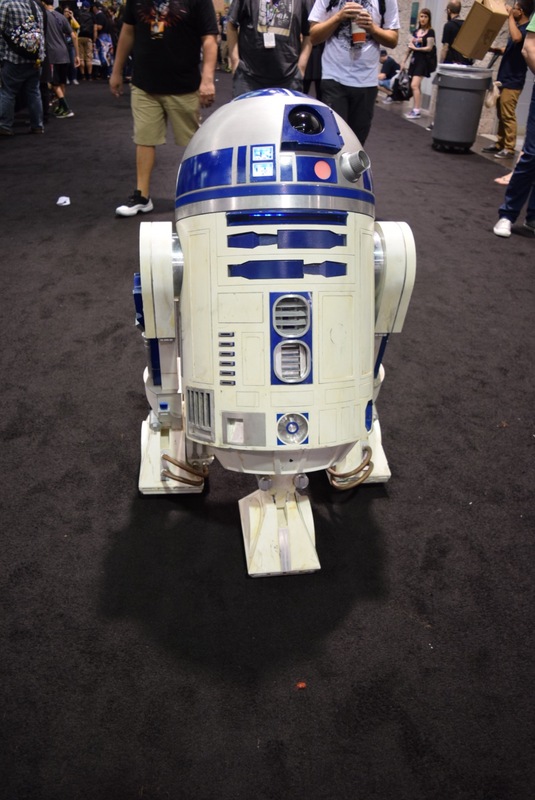 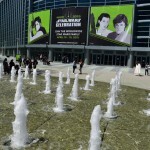 For more information on Star Wars Celebration, visit http://www.starwarscelebration.com/. 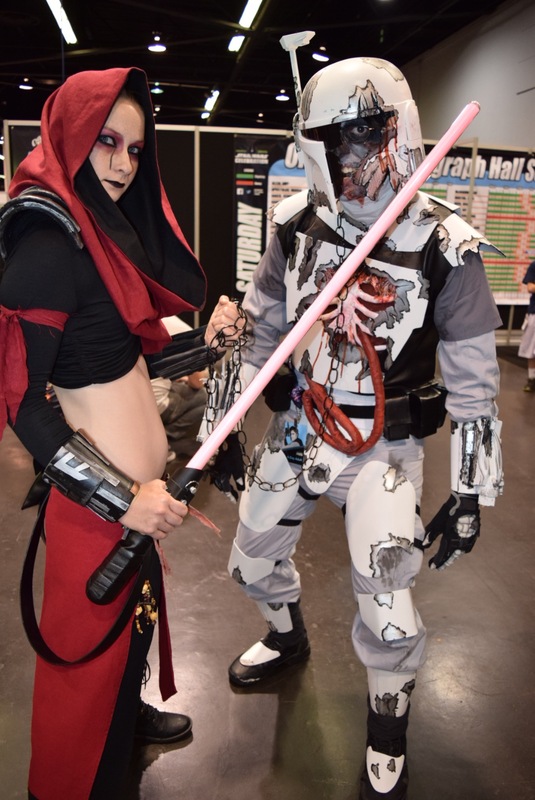 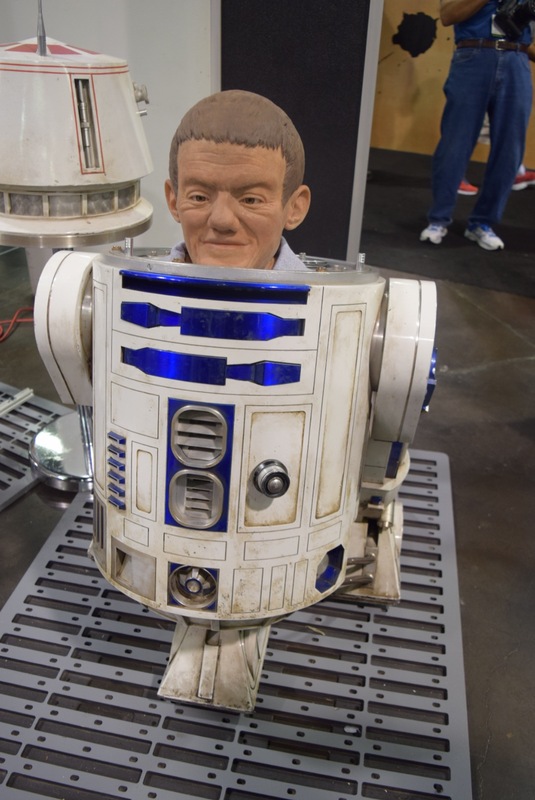 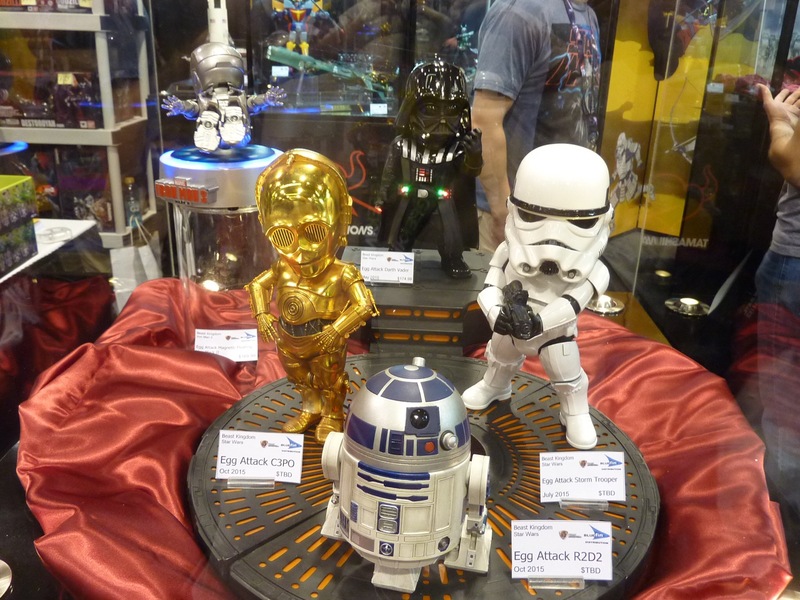 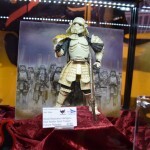 Previous Day 3 At Star Wars Celebration 2015!